Managing telecom expenses has always been complex, giving organizations plenty of opportunities to reduce costs if they are able to gain more visibility into their spending and contractual opportunities. Managing telecom expenses has always been complex, giving organizations plenty of opportunities to reduce costs if they are able to gain more visibility into their spending and contractual opportunities. However, the telecom industry has been going through a major shift in recent years as new service models take hold in the sector. These changes are combining with increased business complexity to create new demand for telecom expense management systems. Businesses are becoming more aware of how they need to bring greater transparency to their telecom environments. In response, the global market for TEM solutions is rising. Transparency Market Research found that the global TEM industry will expand to be valued at $4.92 billion by 2024 compared to $1.6 billion in 2015. Imagine a typical small business. Chances are you think of a few employees working from a suite in an office park. Their phone plan, internet services and similar technologies are probably managed by third parties and they are paying a general service fee for the converged solution. The mobile device movement has combined with globalization to transform this vision. "Globalization is pushing organizations to improve their communications abilities." In today's enterprise climate, more workers are getting the job done anytime, anywhere. In the small business world, for example, employees who fill multiple rolls may work primarily from their phones as they spend much of their time moving between meetings, client calls and similar interactions. Furthermore, the ability to reach a global workforce and customer base creates an environment in which even a small organization may have some sort of international presence. These factors come together to change how companies use network bandwidth, the types of telecom services they need and the complexity of their entire technology environment. Now, consider this situation ramped up to the size of a larger business. The amount of potential telecom overhead can be staggering. A study from ResearchnReports found that globalization is pushing organizations to improve their communications abilities and bring together geographically dispersed clients, partners and business units under a converged architecture. Furthermore, user demand is pushing these companies to leverage contemporary communications technologies in these globe-spanning telecom networks, creating incredibly technical and cost complexity. These industry conditions are coming together to create significant demand for TEM solutions. Managing endpoints, connections and services over a global network is extremely complex at the best of times. However, the current telecom industry climate is one of disruption as new technologies and capabilities take hold in the sector. This adds to the complications created in a global environment and makes TEM technologies especially valuable. Managing a phone line is, in theory, simple. Organizations pay a set fee for access to the line along with charges based on their use for local and long-distance calls. Voice-over-Internet-Protocol technologies simplify this process to another level by moving calls over the IP network, meaning organizations don't have to pay based on distance, but simply on network use. 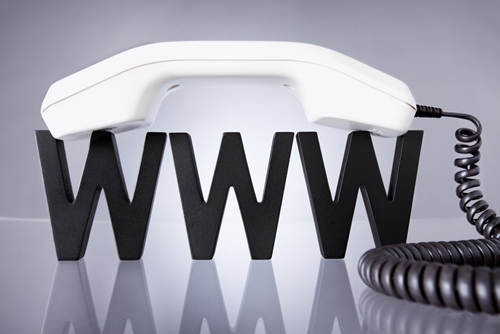 VoIP was the first move toward IT and telecom convergence, a trend that has now taken hold in the sector. With everything from voice and video to fax and data analytics being delivered within telecom software and over the IP network, businesses must develop strategies to track actual use patterns and bandwidth consumption to right-size their networks. "TEM technologies are all about gaining transparency into a complex and often cloudy aspect of the enterprise budget." For example, something as seemingly simple as identifying why mobile conference calls are performing poorly actually turns into a deep analysis of whether the network is bottlenecking in the Wi-Fi, if the WAN needs an upgrade, if users are depending on mobile connections when Wi-Fi is available or if the network is experiencing excess latency. A company could be overspending in any one of these areas, and the integration of IT and telecom systems makes it difficult to identify precisely where a problem resides. A TEM solution can track device, app and network use and place that data alongside service contracts to help organizations identify exactly what they are paying for relative to what they actually need. This type of visibility is increasingly necessary as communications and data technologies intersect in the modern enterprise. Globalization and IT-telecom convergence both highlight increased complexity in the telecom sector. Transparency market research pointed out that the rise of mobile devices, resulting changes to enterprise networks, industry regulations and emerging communications technologies are coming together to add another layer of complications that businesses must deal with. The problem isn't just that telecom systems are complex. Instead, the study found that many businesses are still depending on manual processes to monitor and track these services, a strategy that is no longer realistic. Businesses dealing with more sophisticated and robust telecom services increasingly need to automate many of their service tracking and documentation processes. TEM solutions provide the underlying management capabilities organizations need to find success here, creating opportunities for organizations to gather more data about the telecom environment and use that information more effectively. Ultimately, TEM technologies are all about gaining transparency into a complex and often cloudy aspect of the enterprise budget. As IT teams face mounting pressure to justify their costs and deliver a return on investment, being more informed about the telecom environment is critical. With globalization, IT-telecom convergence and manual processes all affecting telecom plans at once, organizations can use TEM solutions to stay ahead of complexity and ensure they get the value they are paying for within their telecom strategies. What do telecom audit services provide and why are they important?